Was your meeting a press conference or a party convocation? Can journalists be subjected to psychological pressure by the members of a political party at a press conference? Can a press conference be interrupted with the applause of those who attend it? You promised to disclose everything. However, many issues remained in the dark. Furthermore, you limited the number of questions the journalists planned to ask. How can journalists be told that they can only ask a limited number of questions at a press conference? You claimed that you changed [from your days as an unabashed Islamist]. Were the views you defended in the past wrong? Do you regret the approach you maintained in the past? You used the Cold War as an excuse for the statements [promoting Islamism and diminishing democracy] you made a few years ago [in 1994 and 1995]. Had the Cold War not ended long before you made those statements? You recently said “Sovereignty unconditionally belongs to the nation.” But, you argued in the past that “Sovereignty belongs to God.” Which of your statements should we believe? 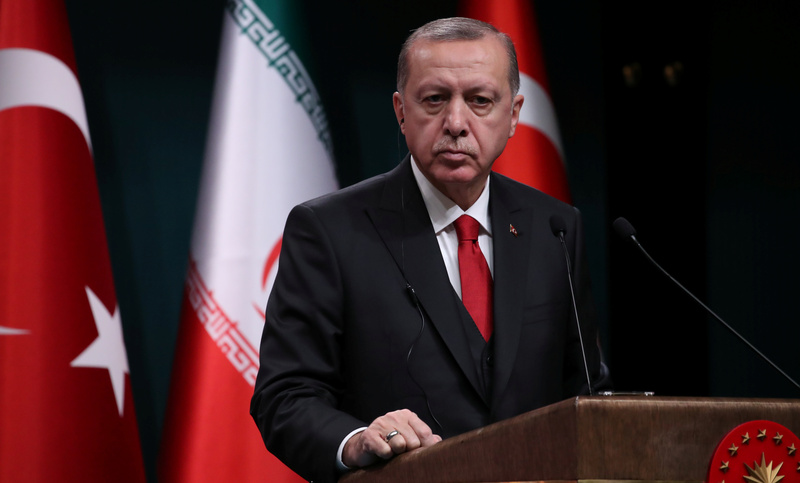 You said, “As opposed to the situation in Algeria [where Islamists, in 1991, won an election and immediately sought to change the constitution], we will exercise patience in the effort we make to come to power in Turkey.” What did you mean? You said, “God willing, the onslaught will begin.” What does that mean? Are you opposed to the Shari’a [Islamic law]? You supported the concept of “Just Order” in the past. You recently disputed this with many of your colleagues. Would you now say that defunct Welfare Party Leader Necmettin Erbakan [an Islamist forced to resign in the 1997 soft coup] and those who support the “Just Order” live in a dream world? You said in the past that you would have mosques constructed in Istanbul’s Taksim Square and Ankara’s Cankaya District. Have you now changed your mind? Do you still defend the view that all schools should be converted into schools for imams and preachers? How will you solve the head scarf problem? Can women who cover their heads be elected to the parliament? How will you create resources for Turkey? How will you solve the problems? Do you support Ataturk’s principles and reforms? You said in the past that you wanted to be “the Imam of Istanbul,” not the city’s mayor. Considering that, do you see the Prime Ministry as the office of the grand imam of Turkey? How can a person, who says that he views the Quran as the constitution of the country, claim that he supports secularism? Can you disclose your income and property? As diplomats, analysts, and many Turks themselves consider how Erdogan transformed a vibrant near-democracy once again into a repressive autocracy, it is worth remembering how Yilmaz’s questions were allowed to remain unanswered. Perhaps had Turkish liberals, the George W. Bush and Obama administrations, and foreign diplomats demanded such answers before extending Erdogan the benefit of the doubt if not embracing him directly, Erdogan might not have so readily hidden his past, his ideology, and his corruption or won the benefit of the doubt so readily and naively bestowed upon him.